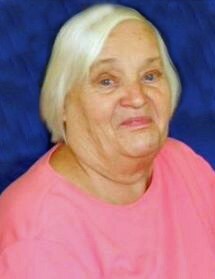 Obituary for Susan Pearl (Shaffier) Propst | Obaugh Funeral Home, Inc.
Susan Pearl (Shaffier) Propst, 78, of Mountain Grove, passed away Saturday, November 10, 2018 at Augusta Health. She was born June 29, 1940 a daughter of the late James Oscar and Lucy (Hise) Shaffier. On December 9, 1959 she married William “Arlie” Propst. A homemaker, Susan enjoyed to can (especially fruit), cooking for her family and designing or rearranging her home interior. Above all, she will be most remembered as a loving mother and grandmother. In addition to her parents she was preceded in death by a daughter, Donna Sue Propst Buzzard, a son Douglas Wayne Propst; four brothers, John Harper Shaffier, Leroy Oscar Shaffier, Clarence “Crack” Harrington Shaffier and Vernon Grey Shaffier; and three sisters, Elizabeth Parker, Margaret Corbett and Juanita Meade. In addition to her husband, Arlie Propst, of 59 years, she is survived by her son and daughter-in-law Dale and Helen “Tittle” Propst of Warm Springs; grandchildren James Buzzard and wife, Brittany of Appomattox; Trista Randozzo and husband, Joe, Dalton Propst and wife Hannah, Tiffany Ryder and husband, Josh, and Daren Propst, all of Warm Springs, and Dusty Propst of Hot Springs; great-grandchildren, Walker Randozzo, Timber and Piper Ryder, Dallas, Isabella and Dash Propst, all of Warm Springs and Kylee Propst of Buchanan; brother Julian Shaffier and wife, Peggy, of Warm Springs; several brothers- and sisters-in-law; as well as a number of nieces and nephews. A funeral will be held 11 a.m. Tuesday, November 13, 2018 at Obaugh Funeral Home with Rev. David George officiating. Interment will follow in Mountain Grove Cemetery. Pallbearers will be James Buzzard, Dalton Propst, Daren Propst, Joe Randozzo, Josh Ryder and Allen Bussard. The family will receive friends, 6-8 p.m., Monday, November 12, at the funeral home. Memorial contributions may be made to Mountain Grove Cemetery Fund, c/o Janice O’Farrell, 5792 Mountain Valley Road, Warm Springs, Va. 24484.